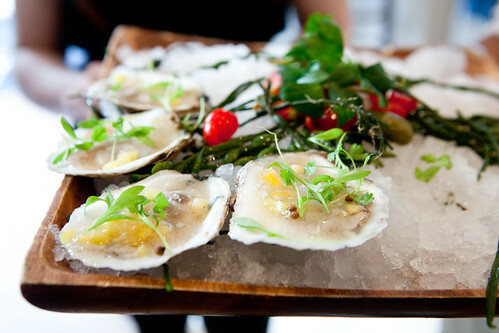 At Pier 9, I enjoyed the slurpable Blue Point Oysters with pineapple-vanilla mignonette. 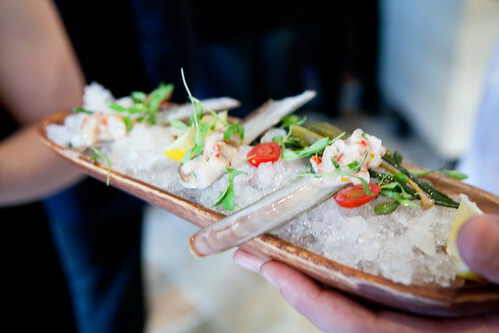 It’s super fresh, silky and the slightly tart and sweet vanilla-pineapple mignonette was a good starter, as well as the razor clam ceviche. The crab and shitake arancini with spice tasso aioli was addictive from the über-thin crispy crust containing the creamy, hot orb of risotto and crab meat (didn’t really taste much of the shitake mushroom though). I would eat them by the bucket. 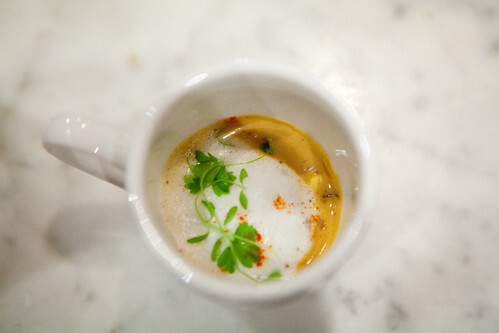 The seafood and corn cappuccino was a delightful demitasse of soup that borders the sweet and savory of the seafood and corn, lightened up with the foam on top. The feel of this venue is bigger, brighter and airier than its sibling restaurant next door, 9 Restaurant. It’s modern with pastel greens and blues and the streamlined leather banquettes make it look like a cruise ship. 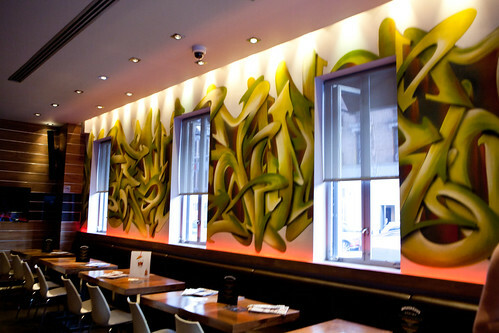 At 9 Restaurant, this place is darker, smaller, clubbier vibe with a graffiti-inspired wall opposite of the bar. The food was generally bolder flavored and a bit heartier to match the atmosphere. 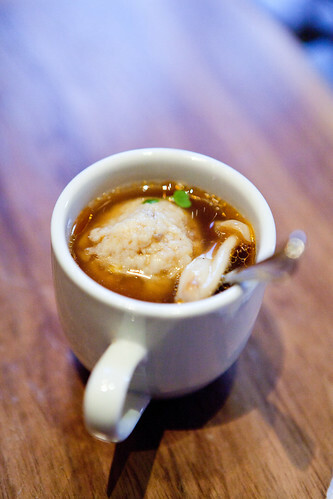 My favorite bites were the Matzoh ball soup with bone marrow and wild mushrooms shooter and the “Buffalo style” chicken and Jack cheese dumplings. The soup was delicious and hearty. Frankly, I like this version of Matzoh ball soup as has so much flavor from the Matzoh ball as well as the broth it’s set in. 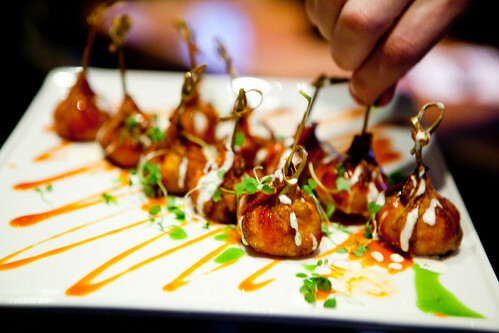 The deep-fried dumplings were robustly flavored from the kick of hot sauce and the sharpness from the Jack cheese. Overall impressions of both restaurants: They seemed good for the neighborhood of Hell’s Kitchen. 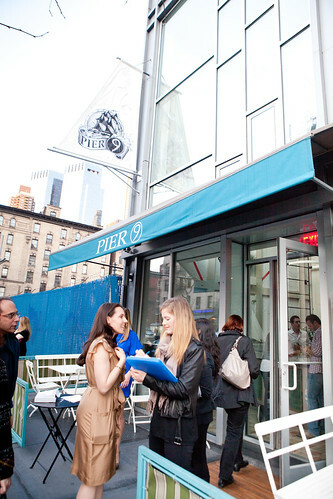 Pier 9 are for people who want a relaxing meal during the day. 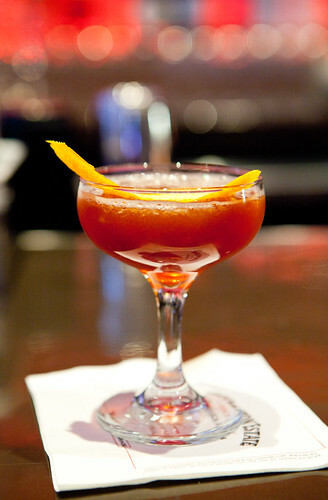 The 9 Restaurant, I can imagine, would cater more to the night owls nearby during the wee hours of the weekend. 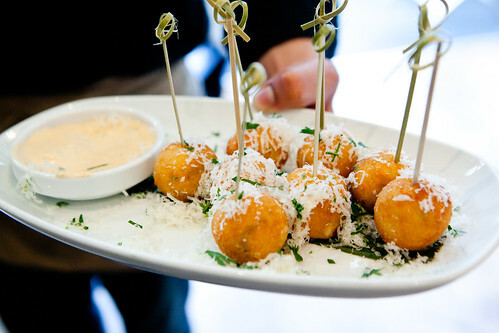 I prefer the food and drinks from Pier 9 for this event, as the flavors and textures fared better. If you really want to know my favorite drink from Pier 9, it would be the mojito. It’s clean, not too sweet to go along with many different foods on the menu, and it’s refreshing. 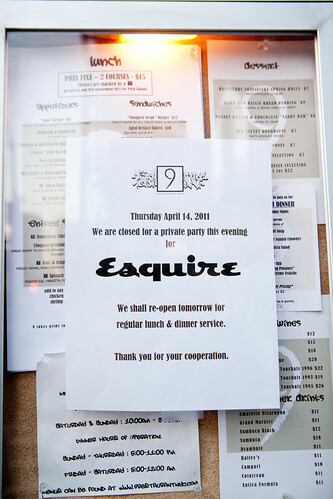 TwEAT Dinner with American Express & Paper Magazine's Super(Duper) Market – WTF? 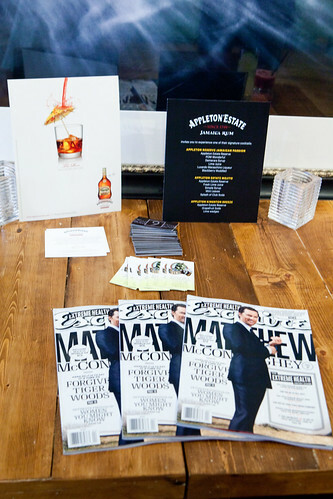 TwEAT Dinner with American Express & Paper Magazine’s Super(Duper) Market – WTF?